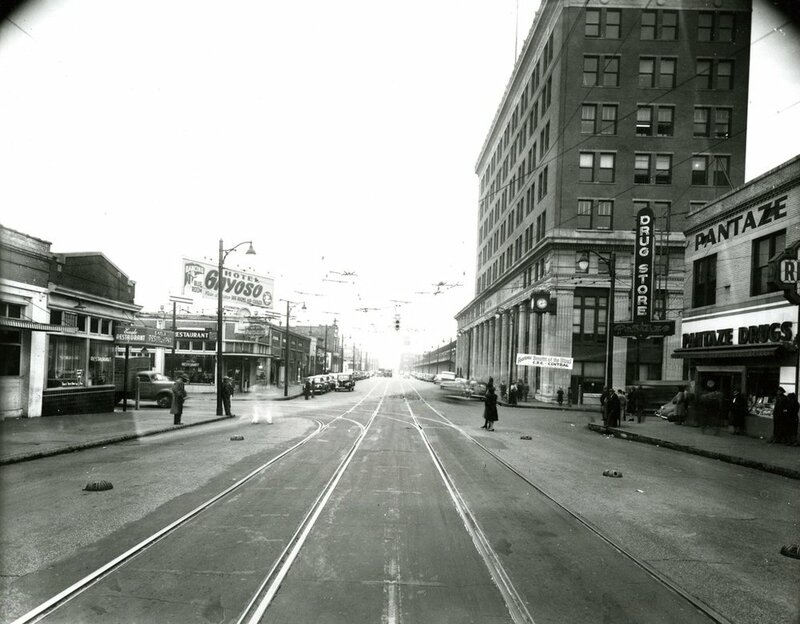 South Main was Memphis' railroad transit hub from the early 1900's through the late 1950's. Central Station opened in 1914. 50 passenger trains pulled into the 2 South Main train stations every day. and 11 hotels, including the Chisca Hotel which boasted Turkish baths to cure rheumatism. 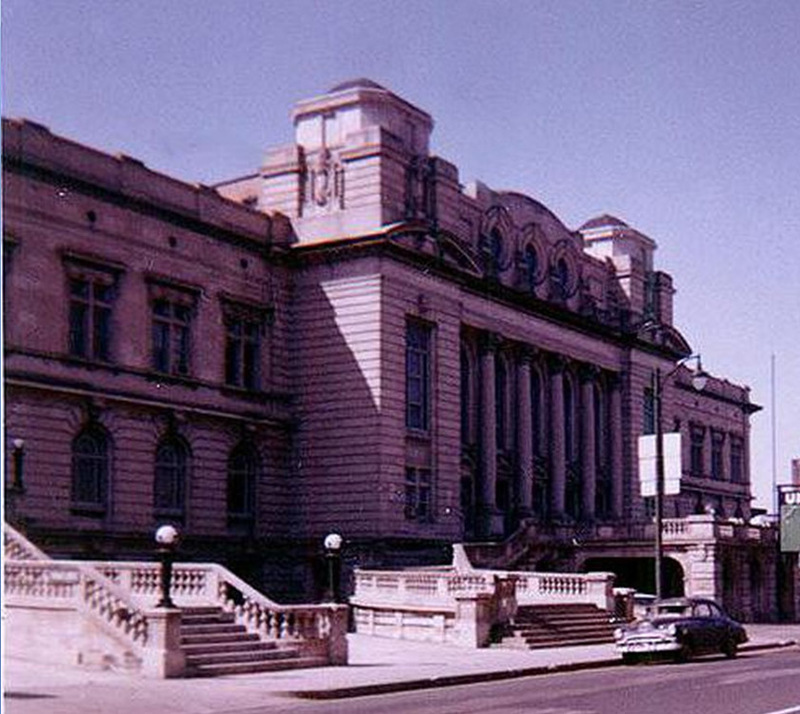 In the 1950s, The Chisca served as the location for DJ Dewey Phillips' "Red Hot and Blue" radio program which aired Elvis, and rock 'n' roll, for the first time. Manufacturing and industry grew in South Main. The Piggly Wiggly headquarters on Nettleton at Front is now The Nettleton Condos. Poston Warehouse on St. Paul will soon be the home to Artspace. An area of one-story buildings along Second Street between Vance and GE Patterson was known as "Film Row" serving as the distribution center for all of the major motion picture studios - MGM, Paramount, Warner Brothers, 20th Century Fox and more. Until 1850, what is now South Main was actually a separate city from Memphis. It was the City of South Memphis, separated at Union Avenue. South Memphis was the residential suburb of Memphis and remained that way until the early 1900s when the railroad stations were built. Because of Memphis' geographical location in the country, it was a perfect city to become a center for railroad traffic. Two large railroad stations opened along Calhoun Street (now G.E. Patterson), Central Station (c 1912) and Union Station (c 1914). Fifty passenger trains would pull into these two stations each day. As a result, South Main began to transform from a residential neighborhood into a business center to support the booming railroad traffic. The vast majority of the buildings you still see along South Main were built between 1910 and 1925 as a result of this boom. By 1929, eight restaurants and 11 hotels sprung up between Central Station and The Orpheum. Manufacturing and distribution warehouses were drawn to South Main to be near railroads. Piggly Wiggly, Meyer Brothers Drug Company, Puck Brand Foods, United Warehouse, Memphis Brewing Company and others employed tens of thousands of employees. South Main also became the distribution center for all of the major movie studios: MGM, Paramount, Warner Brothers, 20th Century Fox and more. Most of these businesses were clustered in one-story buildings along Second Street, which was known as "Film Row". By the 1950s, the railroad industry was beginning to crumble, and with it supporting businesses. Fewer stops to Memphis meant fewer customers. Union Station closed its doors on March 31, 1964 and the building was torn down in 1969, replaced by a surface parking lot for the post office. At the same time, manufacturing began migrating east to industrial parks leaving many large warehouses vacant and falling into disrepair. 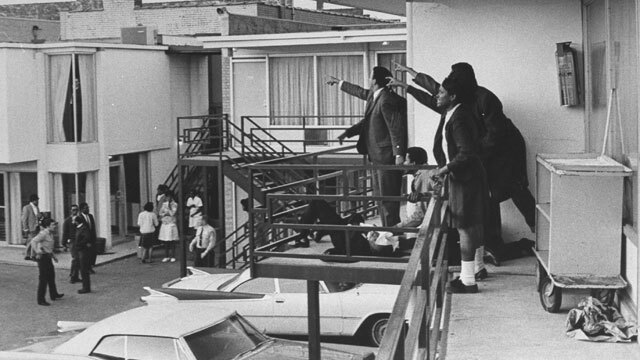 The assassination of Dr. Martin Luther King Jr. at the Lorraine Hotel in 1968 and the ensuing riots were the final blow for South Main. The Arcade Restaurant, which had been open 24 hours a day since 1919, closed its doors for the first time. After that, the area essentially was abandoned and neglected for 20 years, falling into blight. Ironically, South Main was saved because it was abandoned and neglected. Its architectural gems were kept intact because no developers were interested in the area. So the buildings in South Main look much like they did when built in in the early 1900s. Artists were drawn to South Main's historic charm, low property prices, and the ability to find large live/work spaces. South Main's renaissance truly began in 1982 when Robert McGowan and Annie Mahaffey bought 418 S. Main St. as their home and art studio, and other artists followed. 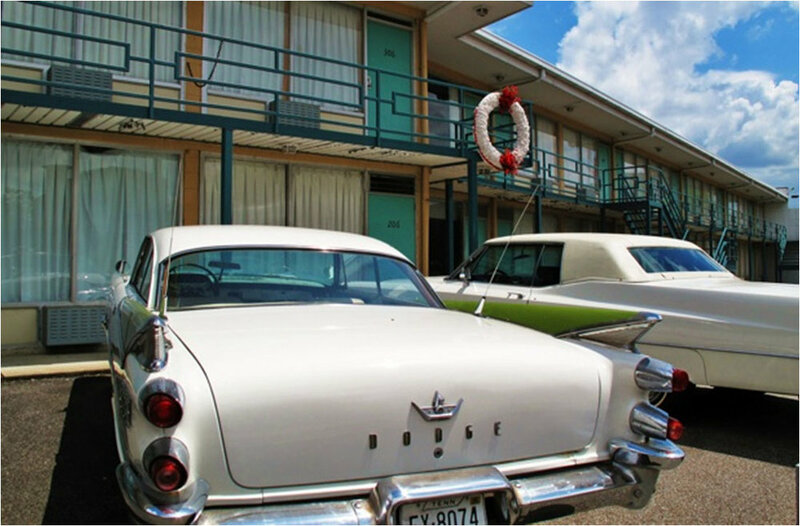 Robert lobbied the city for much-needed infrastructure and code enforcement to preserve the history buildings and led efforts to include the South Main Street Historic District in the National Register of Historic Places. The movie and film community recognized South Main's gritty time capsule of architecture and began using it as a backdrop for many films. Mystery Train, an indie movie by Jim Jarmusch, was filmed in South Main in 1989 paving the way for other movies to follow: The Firm, Walk The Line, Great Balls of fire, Elizabethtown, Hustle & Flow and others. More awareness of the neighborhood came with the openings of major anchors like the National Civil Rights Museum (1991) and establishment of the Trolley Line (1993). Developers including Phil and Terry Woodard began renovating many South Main buildings. turning them into art galleries, boutiques, restaurants and loft apartments. Today, more than 2,500 people live in South Main, drawn to the neighborhood's charm, walkability and proximity to Downtown amenities. It's home to dozens of shops, restaurants and creative organizations, and all are locally owned and operated. South Main has kept true to its origins by being a neighborhood built by those committed to the community. 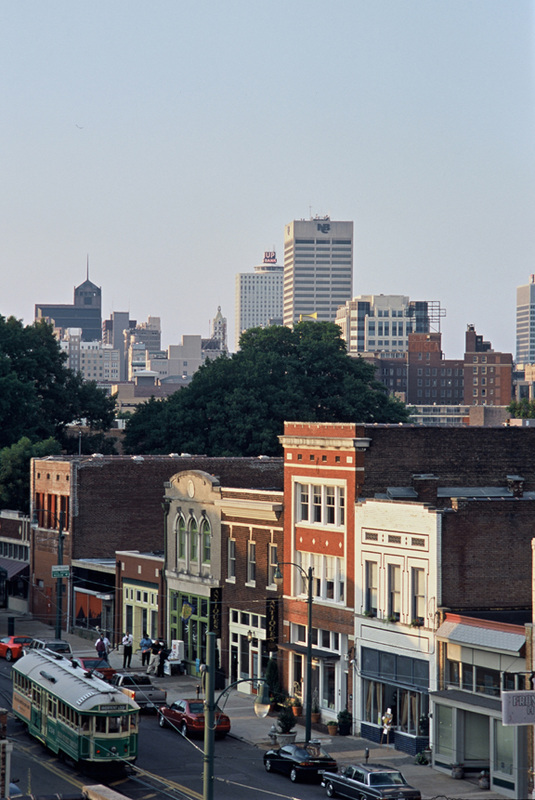 It's not surprising that South Main also is home to Emerge Memphis, the city's incubator for start-up businesses. South Main's history is a work in progress, with more than $200 million in new projects underway! Click here to learn more about what's in the works!